← Bye Bye, the Cult, Christened Steve. ”Don’t vote for Congress”. Roared Anna Hazare. That’s where he lost the plot. I know, I had promised not to post any political news on my blog, but bear with me, it’s not politics that I am writing about here, it’s the Pink Mist. Pink Mist is a military term. It’s associated with Snipers. When a sniper takes a head shot, the blood appears pink from far. And the Pink Mist is that blood mixed with the smoke coming out of his gun’s muzzle. The Pink Mist gives the sniper a sense of achievement, a proud moment of knowing that you have killed the enemy and done your bit. I got aware of this term by one of Lee Child’s Jack Reacher series novels. That was a gripping novel and forgive me for forgetting the name! 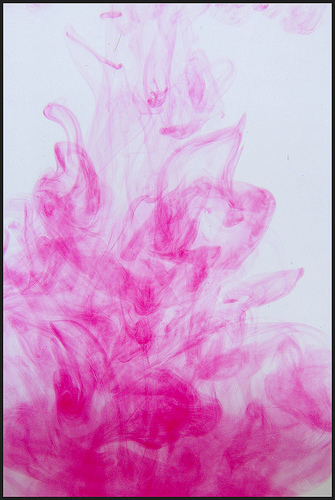 The Pink Mist is often used to describe a situation where the person calling the shots ”actually” calls a shot totally unnecessary just so, he or she can see the pink mist and have that gratification. Anna Hazare and Pink Mist? I know, now you would have started working your brains to get the equation. Please let me explain. It’s a short post, will not take long for me to put my point across. Indian politics is a big game, rather a big warfare. There’s a lot at stake. Money, egos, stature, power. Anna Hazare has been a crusader all his life. His weapon of choice has been Anshan. He has, for the majority of his life, taken up local causes. Valid causes, affecting the rural people at large. His body of work is very very impressive. Right from changing the fortunes of Ralegaon Siddhi to Narmada Andolan. His village’s local school to the ouster of three corrupt ministers from Maharashtra Government of yore. He has done it all. The Jan Lokpal bill catapulted Anna to the national stage. Put him straight in line of fire with the Central Government and the broad theme (mind it, I still believe, the Public support was NOT for Jan Lokpal but Corruption in general) of Corruption got people behind him. India had never seen such humongous support for any individual post the pre-independence movement. The themes were similar. One united people for a common cause of Independence from the British Raj while the other united people against the corruption. Both the issues have violated our basic rights and the angst in people came to the fore. The voice of Anna became the voice of India. All good. All well. I have faced corruption at every crucial juncture of my life as well. It’s another issue, how I dealt with that. But the recent war cry brings down Anna from that pedestal which was reserved for an APOLITICAL person. Politics is murky. We often say that you need to get in the mud to clear the muck. You need to get dirty to clean something. This is NOT that. I do not buy this. Don’t vote for Congress. Why? Whom do we vote for? Congress has seen scams, perpetuated scams and scamsters. But if not Congress, then whom do we vote for? BJP? CPM? Whose linen is clean? Who is pure? Who hasn’t got taint on himself in politics? Ofcourse, there would be people but we are talking about changing the system. It requires a mass change. A single person with pure image, doing selfless service to people in his constituency is worth hailing but sorry to say, not enough to change the system. Anna says, I am not political. I am not getting into politics. I am not supporting RSS or BJP. Then why are you pulling the trigger? People listen to you, people look at you with hope. Please do not pull the trigger to see a Congree head roll just because you can and you want to see the Pink Mist. Please give us a definitive solution. Great article and contemporary issues raised which is related to each one of us, whether we accept it or not. I always get comments from elite and educated people, “politics is bad”. But my question to them is, “Can you live without politics in a democracy?” Do you want to bring Pakistan or China like situation in India. I never agreed with Anna earlier when he had stated that he will not enter politics. Contesting elections and entering politics are two different things. Good people must enter politics directly or indirectly who really want to bring a positive change to society and country. Is it mandatory to be dirty to be in politics? Any wise will answer as “No”. There is no use of abusing politicians if every one of us do not understand politics and do not go for 100% voting. Politics decides our day to day life, rather fate in today’s time. The amount of taxes we pay, the roads we drive, the house we live, the poison (people say it food) we eat, the poison (people say it drink or beverages) we drink buying from shopping malls. And at the other side, number of people die due to hunger, business loss, loss into farming,etc. Other side of the coin is that some people who enjoy at the cost of others lives, e.g. a mall uses electricity equal to 1800 households, an industry uses 20-30 times more water than required for farming of vegetables and fruits and grains as well. What type of harmful, poisonous fertilizer and pesticides will be given to poor farmer at high cost for farming is also decided by politicians on a nice commission to import those. And all of this on the cost of our hard earned money. Some people say most of people do not pay taxes in this country, but it is wrong. Even a beggar pays huge tax to government and pays bribe to government officials out of begged money. If he buys chappal, cloths, food, he pays VAT on everything between 5% to 12.5%. And he pays money to municipal corporation officials and police to sleep on footpaths or verandah of any public building/park. Some poor people have mobile rickshaw for selling fruits,vegetables, CDs, other day to day products, they also pay bribe to government officials. Who decides it all…….. politicians. Because they have to pay a handsome commission to top people, keeping their share in their own pocket. In another point of view, out of 60 crore of total voters only 11 crore liked the people in current government. Are they the real representative of masses of country? Do we know before elections who will be our CM or PM? How can we choose the real leader who can do good to us and the country? Are we not being cheated on the name of democracy by our politicians? Don’t we need to ask our rights to change the system? And who will change the system? Politicians in a democracy………so all good people who want to be an agent of change must enter politics. That’s the point I am trying to make Rakeshji. He is saying that please do not vote for Congress but he is not providing solutions. He is saying so because public has given him that power to say so. Let’s see. Ha Ha! Very much possible! While I might have disagreement with a few of points here, but majorly I agree with the sentiments and logics here. Yes! the movement getting misguided and arrogant now. Either it be Team Anna or Anna himself behind it, the focus is sure on a little loose now. Hope they realize it in time. Thanks Nitish. Ofcourse, the views are personal and open to arguements. Thanks for your time again.